Twile is short for erstwhile, say our UK friends. We’ll take their word for it. I remember sitting down at the Innovator Showdown of RootsTech 2016 and being excited to see what would happen. It was my first time attending RootsTech. I had looked online to see who the finalists were, and there were several that I was interested in hearing. Twile was one of those new companies. 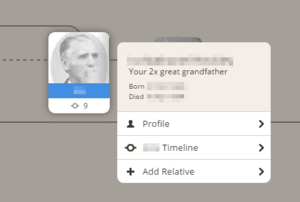 Twile makes your family history more visual and engaging. 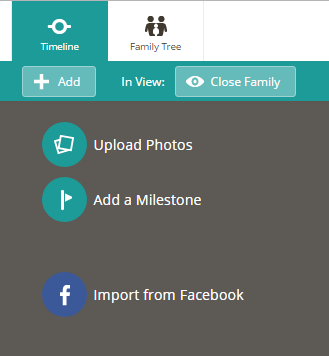 Pull together all of your family’s memories, photos and stories in the same place. That sounds great, doesn’t it? I know I want one place for all my family memories, and as I listened to Paul Brooks, one of Twile’s co-founders, explain and show how Twile worked, I couldn’t wait to try it out. Apparently, I wasn’t the only one who felt that way because Twile ended up winning the People’s Choice Award and 3rd place in the 2016 Innovators Showdown. And now, a year later, Twile is even better. It’s also FREE. One of the great features of Twile is that it’s a sort of mix of genealogy (i.e. the research) & family history (the story keeping and telling). It has several different views, but the default – and most unique – is the timeline. You start by building your own timeline, which includes major life milestones but also includes important events or stories from your life. For example, you could add pictures and stories of the first time you went to Disneyland. Later on, you could include pictures and stories from the first time you took your children to Disneyland. As your life goes on, you add more stories, pictures, and events. But it doesn’t end with just your life, you can also see important dates in your ancestor’s lives as well as living family members. 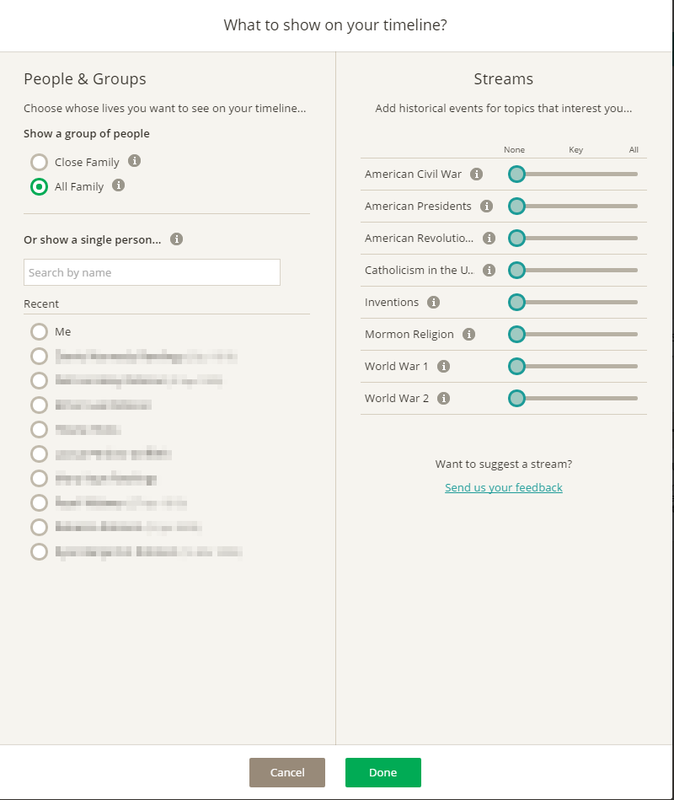 You have complete control over who can see your timeline, but the idea is to have other family members sign up and share timelines with each other. This means that when your parents and siblings see that “first trip to Disneyland,” they can also share their memories too. In short, Twile is a wonderful way to create a mosaic-style personal and family narrative, all in one place. Start by going to Twile’s website and signing up for free. It may seem a daunting task to create a timeline from scratch, and to be honest, it probably would be. The good news is, you don’t have to (unless you want to). 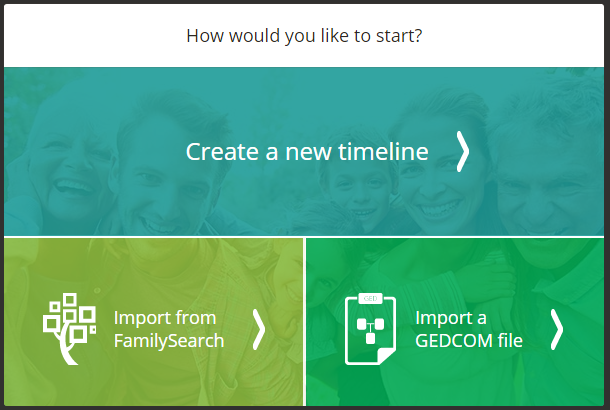 If you don’t have a GEDCOM file but have information in other popular genealogy programs – like Ancestry or MyHeritage, you can create a GEDCOM file. Twile was kind enough to publish a blog post that explains how to do this. Keep in mind that importing can take a while, depending on the size of the file. Regardless of which option you choose, once you have built or imported a timeline, you get a short guided tour so you can become familiar with the layout. Navigation is straightforward and intuitive. In the top left corner, there are timeline and family tree tabs, and everything is done from one of those 2 tabs. Add photos, stories or import from Facebook. Click the add button, and you have 3 options. Yes, you can import from Facebook, so now your pictures of and memories from breakfast on January 8th, 2015 can be immortalized forever (yay!!). 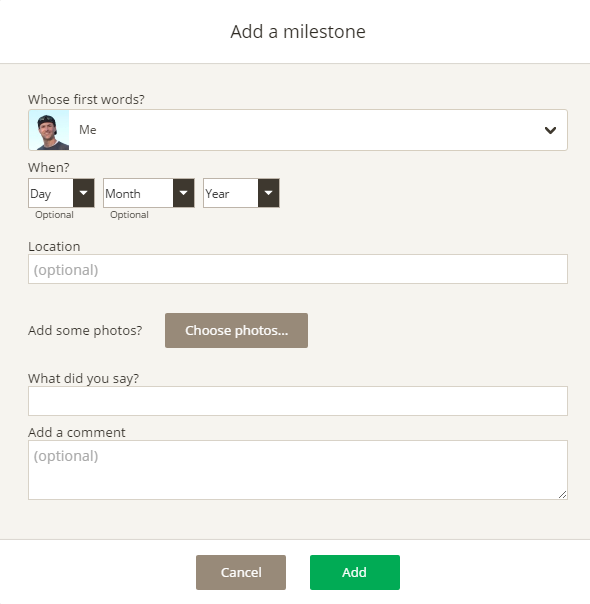 You can also upload photos and add milestones. Twile has many milestones to choose from, including big ones like birth and marriage, to memory makers like vacations (Twile is based in the UK, so they call it holiday) and home purchases, to things like arrest and imprisonment (oh my!). You can then add a lot of information, including the date, place, and details of the milestone. You can also add photos, and they will show up in your timeline. The timeline shows you the basics for the milestone, and when you click, it expands and gives you access to all details and photos. Of course, you can edit them and add more information. You can also change the view in the timeline, and there are several options. You can choose your entire family or select a specific person. You can also add different world event streams, such as World War II, to your timeline. This feature lets you see major events that happened in people’s lives and gives some context to what they lived through. It’s really a nice addition. Another wonderful feature of Twile is that when you hover over a living person, you can invite them to Twile so they can add to the timeline. The family tree view is the very familiar view that all family historians are used to, but with some additional features. 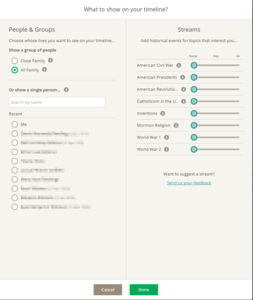 The default view shows what you could call “main relatives.” It contains parents and grandparents, aunts, uncles, etc. If you click on any person though, it drills down into their pedigree chart. You can go as deep as you have info, and what’s really cool is that you can view those people’s timelines and add milestones to them. Here you see one of my great great grandfathers. The 9 below his picture indicates the number of milestones that already exist on his timeline. Twile debuted a popular family history infographic at RootsTech 2017, which is a fun visual summary of your own family’s history facts, suitable for framing or sharing. All of this is included for free with Twile, and they do have some premium features coming later this year. Video is becoming more common today, so the ability to upload that will be coming soon. They are also working on a way to print books from timelines as well. Twile is a great program that is easy to learn and fun to use. It simplifies genealogy and does indeed make it more visual and engaging. If you’re looking for a great way to keep track of both the research AND stories for both living and deceased ancestors, Twile is an outstanding option. Sign up for your FREE account here.